Some traders in Lusaka markets have asked government to rescind the decision to start taxing them. In its quest to broaden the tax base by targeting the informal sector, the government has introduced base tax on traders in markets, and presumptive tax on taxis and bus owners. On June 15 this year, the government through the Ministry of Finance issued a Statutory Instrument that allows them to collect base tax from the informal sector. The Zambia Revenue Authority consequently appointed the Zambia National Marketeers Association as a sole agent to collect base tax throughout the country. Base tax is the measure upon which the assessment or determination of tax liability is based, whereas presumptive tax is an estimate of tax payable. This is commonly used in dealing with incomes or activities that are hard to tax, for example the informal sector. 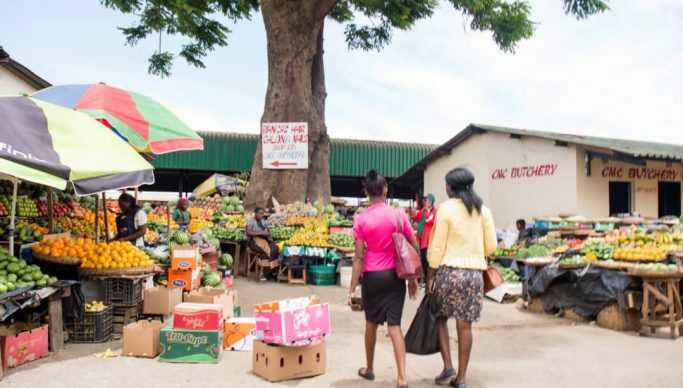 In an interview with newsdayzambia.com on Thursday, Mavis Kampamba, trading from City Market, said that it was disappointing that government would start taxing them when they were already stressed by a bad economy. Kampamba said the decision simply showed that the government had resolved to punish citizens more. “Please, the PF government, where are you taking us now? How many taxes are we going to pay, and why are we doing business? Our capitals are just little and as low as 500 to 1000 kwacha and on that same amount you also want to tax us!” she complained. Kampamba said the economy had now reached a level where the government could not handle it anymore, but pushed everything to poor citizens to bear. “Just stop the tax on us, we also don’t have money. We are struggling in everything, transport fees have been increased, food, let me say just everything has gone up and you want us to start paying tax on the small capital we have?” asked Kampamba. And Joyce Jere, a trader at Chunga Market, has vowed never to pay such tax. Jere said she would rather be chased from the market than make already well to do people richer. “That is why you see people not coming out of the streets because of the same problems we are going through. How can I pay five kwacha to the council and ten kwacha to the cadres while my profit is 30 kwacha? And ZRA again want to get something from a 30 kwacha profit I work for in a day!” lamented Jere.